Now there are rumours and reports popping around claiming that there is a realistic possibility of Cesc Fabregas making a move to Real Madrid. If you used a Betfair betting promo code, you could get odds of 5/1 of this move happening THIS summer!? Cesc Fabregas is rated as one of the best midfielders in the Premier League and he proved his worth in his first season as a Chelsea player when he managed to end the 2014-15 season as a machine of creating goal-scoring chances as he provided his team with 18 assists. A lot of clubs have been interested in signing Cesc Fabregas and Real Madrid is a club that is being taken into consideration as a club that the Spanish midfielder can join in the near future. The player himself has confirmed that he has indeed held talks with officials of Real Madrid concerning a possible transfer to the Santiago Bernabeu. "Well, there were contacts over several years and with different presidents but an agreement was never concluded. There were things, but there was no final agreement. It lacked the step forward. The move to Chelsea was well, football, nothing else. Football moves very quickly, much quicker than people think. It goes from day to day. You talk to a manager or a player and the next day there's something different. You turn the page and you forget everything." Cesc Fabregas said as he confirmed that he had talks with Real Madrid but that an official transfer was never completed and the Spanish midfielder continued on by saying that in football things can change very quickly. 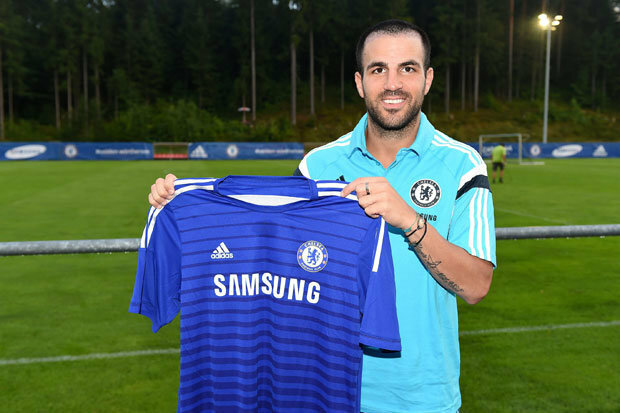 Fabregas has recently stated that one of his football icons has always been Zinedine Zidane and now with the recent promotion of the Frenchman as the new coach of Real Madrid, there is a chance of Fabregas making a move to the Spanish club in the near future.